Every so often someone comes along that adds brilliance to the reggae landscape. In 2006 SherKhan, a talented musician and producer, quietly presented reggae listeners with the 'Wharfedale' Riddim. Any true fan of roots reggae was highly appreciative of this classic, easy grooving, and timeless one drop riddim. SherKhan forced everyone to stand up and take notice. His label, Tiger Records had officially arrived on the scene. More than 4 years have passed since the 'Wharfedale' riddim and SherKhan has continued to inject quality into the lifeblood of what is roots-reggae. (Namely the 'Ol Sitt'n', 'Arena', and 'Sufferah' riddims.) 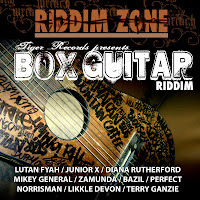 His latest riddim project, 'Box Guitar', testifies to that fact. It is a smooth, one-drop with a constant and delicate guitar that nicely compliments the riddim without expressly defining it. Several tracks include a welcome saxophone piece or horn section that adds a beautiful dimension, if not depth, to the riddim. SherKhan shows there are many possibilities available to a producer in order to make a seemingly repetitive process one that shows diversity and distinction. He enlists the services of several of Jamaica's hottest artists while at the same time calling on a couple of reggae veterans to round out a fabulous set. Junior X's Cross My Heart is absolutely sick! Lyrically potent with a ridiculous flow and hook! The best song of his young career and possibly of any song this year! 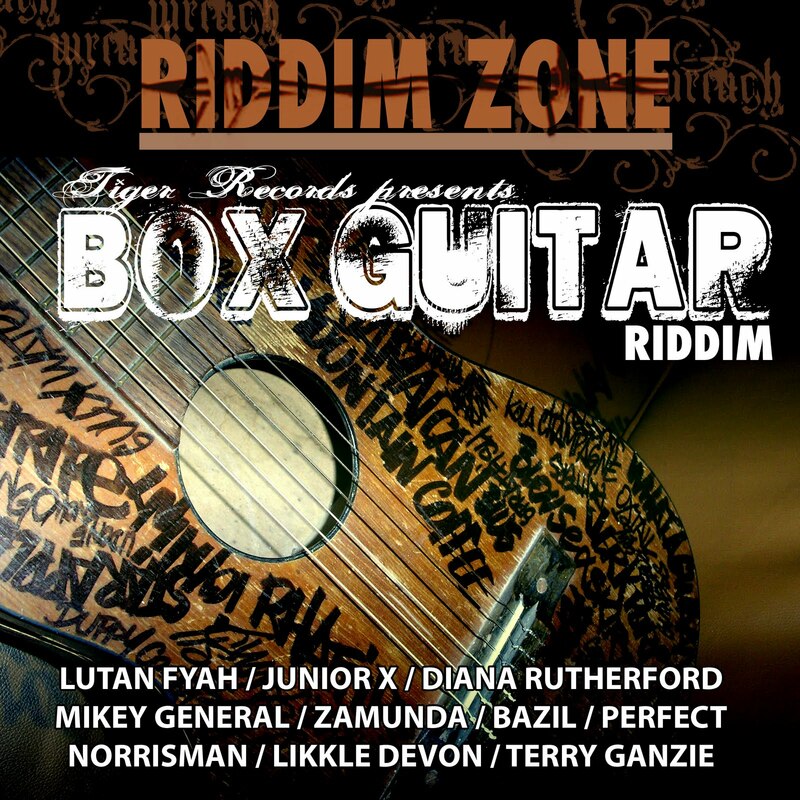 Lutan Fyah blazes on Feliesha, a tune begging a beauty he has his eye on to let him in. Veteran Mikey General is as smooth and poignant as ever on Time Soon Come. 'Tigress' Diana Rutherford holds a vibe on Still A Lady. Likkle Devon does his best Jah Cure on Pain. Terry Ganzie returns strong on The First Time We Met. 'The Outlaw' sounds as crystal clear and unique as he did when he debuted for Donovan Germaine in the early 90s. Perfect provides his usual craftiness on Once Again, while Norrisman stands strong on the ever-conscious We Are The People. Zamunda's No Place In Babylon is solid, while French born newcomer Bazil, recently signed to the Tiger imprint, impresses on the timely and topical Critical Situation. SherKhan has done it again. Crucial! !